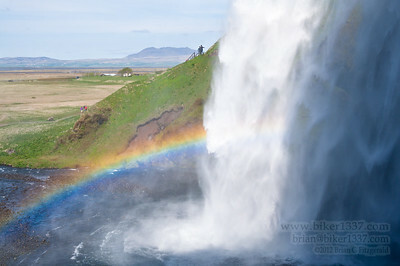 All around the incredible Iceland in 2012. If you ever have the chance - GO! It is an amazing country. 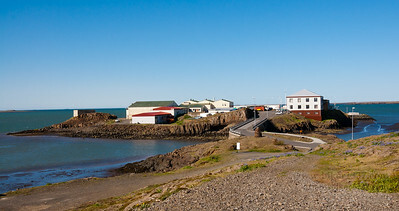 Brákarey Island is located in Borgarnes, about an hour’s drive north of Reykjavík. This old harbor town is full of Icelandic Saga history, and the Settlement Center is well worth a visit. It illustrates some of the sagas, including the story about Þorgerður Brák – slave to Skalla-Grímur and nanny to his son Egill. Brák stopped Skalla from killing his own son. He was still so enraged that he chased her down and killed her. Many markers are placed throughout the town marking events from the sagas. A puffin seemingly posing for me on the small island Hafnarhólmi (actually, not an island anymore – a causeway was constructed to create a harbor). 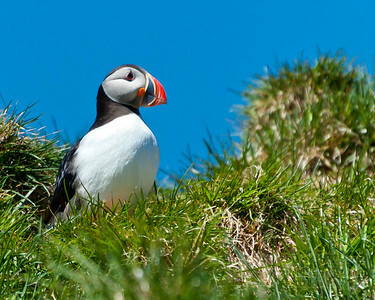 So many birds here, they should call it Puffin Island. This small island near Bakkagerði is a must stop if you’re a bird watcher. It has several stairways for easy access and several hides. Be aware that the island is closed to visitors in May for the nesting season. 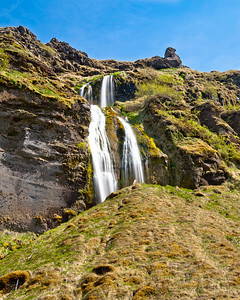 One of the falls a short walking distance from Seljalandsfoss. This waterfall just seems to disappear – it appears to land behind a small rise, but no water flows away from the area. Very mysterious. Seljalandsfoss is yet another awesome waterfall in a beautiful country full of them. It has a 60m drop into a fairly placid pool, with a sedately flowing stream flowing away. One of the great features of this popular waterfall is that you can walk behind it. A well worn trail takes you completely around the falls, through the hollow in the cliff face created by erosion from the rushing water. And another waterfall is just a short walk away – with yet another one about a km down the road. 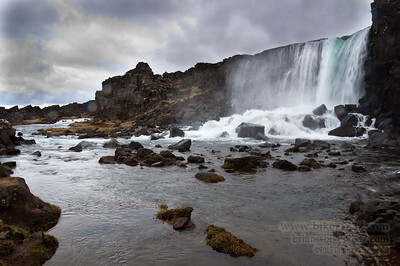 The waterfalls at Þingvellir are truly spectacular. Not in terms of pure power, or the height from which it falls, but because of the geology of the region. A long plain ends abruptly here, where the falls empty into a narrow crack in the earth. The river meanders a short distance north before making a u turn and falling through the other wall of the crack to make its way down to Þingvallavatn – the largest lake in Iceland. Iceland created the parliamentary style of government here in 930 AD. It was called the Alþingi. Icelanders had all left countries ruled by kings, and they wanted no part of that. Þingvellir was chosen as the spot where the people would meet annually to create laws and settle differences. It was a perfect spot – located centrally on the main travel paths through the country, it had ample fresh water and wood for the gatherings, and the steep canyon wall made an excellent spot to address large crowds. Sólfar will have to sail far this evening to find the sun, with the storm moving in. Simply incredible that at 10:30 in the evening, the sun has still not set. 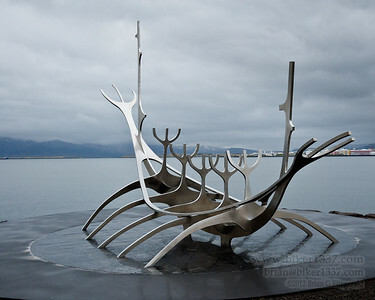 The Sólfar (Sun Voyager) is a sculpture by Jón Gunnar Árnason located on the Reykjavik shoreline. It calls to mind an old Viking ship preparing to depart on a journey of exploration and discovery. The waterfalls at Þingvellir are truly spectacular. Not in terms of pure power, or the height from which it falls, but because of the geology of the region. A long plain ends abruptly here, where the falls empty into a narrow crack in the earth. The river meanders a short distance north before making a u turn and falling through the other wall of the crack to make its way down to Þingvallavatn – the largest lake in Iceland. Iceland created the parliamentary style of government here in 930 AD. It was called the Alþingi. Icelanders had all left countries ruled by kings, and they wanted no part of that. Þingvellir was chosen as the spot where the people would meet annually to create laws and settle differences. It was a perfect spot – located centrally on the main travel paths through the country, it had ample fresh water and wood for the gatherings, and the steep canyon wall made an excellent spot to address large crowds.